Our product range includes a wide range of bevel gears, spur gears, metal gears, helical gears, double helical gears and pinion gears. With the help of our state-of-the-art infrastructure unit, we are able to manufacture, wholesale and supply the superlative quality of Bevel Gears. 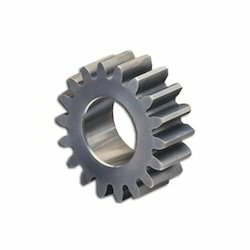 The offered gears are available in diversified specifications and designs as per the users’ needs. Provided gears are manufactured using supreme quality raw material and contemporary technology in sync with industry standards. Moreover, these gears are checked on varied parameters under the supervision of our quality experts. Our organization is actively engaged in manufacturing, wholesaling & supplying of Spur Gears. Our offered gears are manufactured using optimum quality raw material and the latest technology in compliance with industry norms. We offer these gears in different sizes and specifications as per the needs of our valuable patrons. Moreover, these gears are widely applauded in the market owing to their different quality attributes. We are providing the quality proven range of Metal Gears to our clients. Due to their different features like light weight and high strength, these gears are extensively appreciated in the market. Our proficient professionals design these gears using the best quality raw material and innovative technology in adherence with industry norms. Furthermore, these gears are available with us in different shapes and specifications. 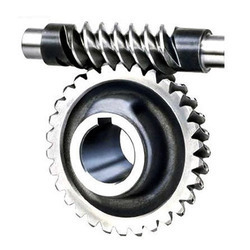 Leveraging upon our technologically advanced production facility, we offer a supreme grade variety of Helical Gears. Under the guidance of our adept professionals, these gears are manufactured using supreme quality raw material and cutting edge technology. 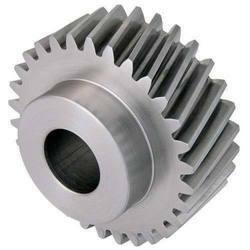 Our provided gears are quality examined on varied parameters so as ensure their flawlessness. Moreover, clients can avail these gears from us at market leading prices. Keeping track of the latest market developments, we are introducing a precisely engineered range of Double Helical Gears. Offered in different technical specifications and sizes as per the needs of our clients, these helical gears are manufactured using the finest quality raw material and advanced technology. In addition to this, our quality expert checks these helical gears against varied parameters in order to flush out any flaw in them. Backed by a diligent team of professionals, we are engaged in offering an excellent range of Pinion Gears. Our offered gears are manufactured using the finest quality raw material and advanced technology in sync with industry norms. Apart from this, these gears are checked by quality examiners on different parameters so as to maintain their quality. Customers can avail these gears from us in variegated sizes and specifications at affordable prices. We are one of the acclaimed companies engaged in manufacturing worm gears. Wrapped around a central axle, a worm gear is an inclined plane having one or more teeth in the form of screwed threads. The worm gear has concave faces to fit the curvature of the worm so as to provide line of contact instead of point of contact. With the unique property of easily turning the gear, worm gears are used when large gear reductions in minimal spaces are required. Worm gears are recognized to be of the highest quality standards. We produce gears that operate with less noise and vibration. Our worm gears are made of both ferrous and non-ferrous materials such as mild steel, alloy steel & carbon steel.